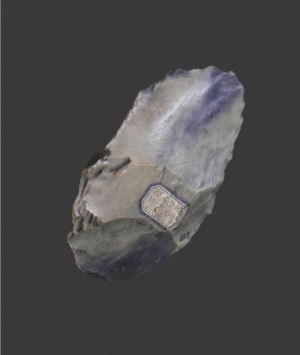 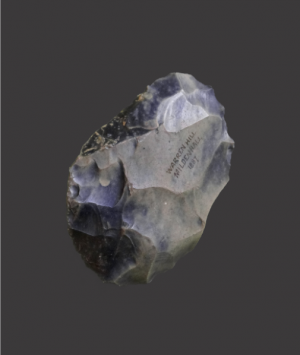 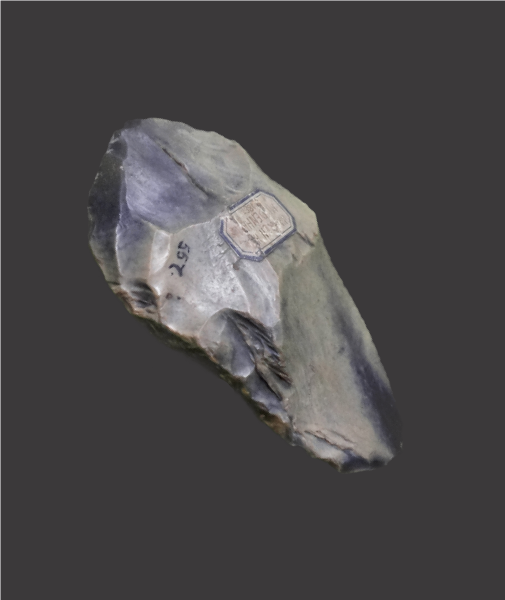 Warren Hill is one of the most important sites in East Anglia for Palaeolithic flint implements, the artefacts discovered there provide evidence of a highly refined industry of cordate and ovate hand-axes dating to approximately 500,000 years ago. 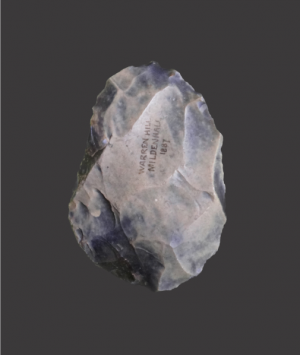 This makes Warren Hill not only one of the richest ancient human sites in Britain, but also one of the oldest. 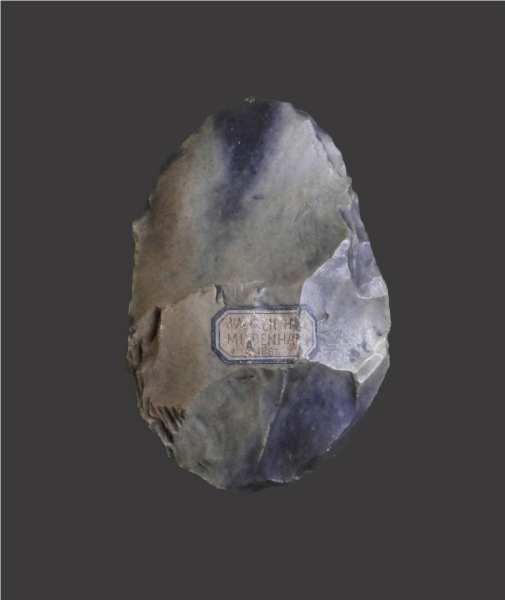 This fine example displays light ‘toad-belly’, patination, a very distinctive characteristic of axes found in this location and which the site is renowned for, with old collection inventory number, ‘557’, in addition to a collection label bearing the inscription, ‘Warren Hill, Mildenhall, 1887’, to one side, the information repeated in hand-written ink on the reverse.